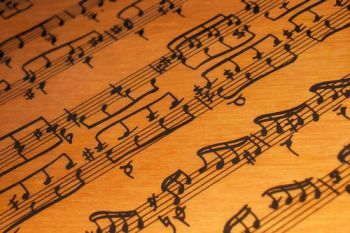 Researchers from City University London have revived the rich musical traditions of Eastern Christianity and brought them to the attention of the world. Dr Alexander Lingas' research undertaken at City explores the musical inheritance of ancient Christianity, with an emphasis on Byzantium and its successor states in Eastern Europe and the Middle East. His publications, lectures and conference papers in the fields of (ethno)musicology, Byzantine studies and liturgy cover topics ranging chronologically from Ancient Greece to the present. Dr Lingas' research has had a broad international societal impact, achieved largely through his role as Artistic Director of Cappella Romana (CR), an American-based vocal ensemble with an international reputation for promoting Eastern Orthodox music. CR has reached a wide audience, many of whom have never heard any early Orthodox music before, through a combination of concerts, tours, radio appearances, outreach and pastoral work. PhD student Spyridon Antonopoulos (who has been a student of Dr Lingas since September 2009), has studied the 15th Century Byzantine composer and theorist Manuel Chrysaphes while remaining active as a professional singer and teacher of Greek music. The impact of his research was recognised by an award from the AHRC's Cultural Engagement Fund in 2013. This research supports both the practical revival of pre-modern Orthodox chant and the creation of materials for pastoral implementation (for example adaptation of received forms from Byzantine chant to English text and/or transcriptions into Western staff notation). Dr Lingas founded Cappella Romana in 1991. Today he continues to guide the group as its Artistic Director, the ensemble having since grown into a non-profit corporation based in the state of Oregon, USA. Dr Lingas' research has been fundamental to CR's operation, shaping its concert programme of ancient and modern repertoire, informing its approaches to vocal performance practice and guiding its educational and outreach efforts to cultivate Orthodox musical traditions in both public and ecclesiastical settings. Since 2008 CR has presented an annual subscription concert series in Portland, Oregon and Seattle, Washington. The series consist of four concerts performed at least once in each city with total attendance during the impact period of 16,902. CR have also played over 50 concerts at locations including Athens, Oxford, London, Boston, Los Angeles, New York, Regensburg, Rome, San Francisco and Vancouver. In addition to the concerts, Dr Lingas has been able to pass on his experience and understanding of Orthodox music to audiences around the world through broadcasts on national, local and internet media of live and recorded CR performances, as well as interviews with Dr Lingas and other members of CR. These appearances include: BBC Radio 4 (Byzantium Unearthed, 2008 and Something Understood, 2013), BBC Radio 3 (The Choir, 2012), Greek National Radio and Television and in the USA on National Public Radio's Weekend Edition Sunday which was carried on nearly 600 stations. In addition to pre-concert talks, CR members regularly offer lectures and workshops on Orthodox liturgical music to the general public at cultural institutions including the Royal Academy of Arts, Stanford University and the Canterbury Gregorian Music Society. CR also works directly with Orthodox churches to serve their pastoral needs. It does this by offering its skills and repertories in worship, singing for services around the world. CR's flagship pastoral project is a cooperative venture with the Greek Orthodox Archdiocese of Thyateira and Great Britain to set its English liturgical texts to traditional Byzantine chant. This has been supported financially by the A.G. Leventis Foundation, the National Forum of Greek Orthodox Church Musicians (USA), the Virginia H. Farah Foundation and the [Anglican-Orthodox] Fellowship of St Alban and St Sergius. Its first milestone was the release of the 2008 Divine Liturgy, a two-disc recording. In recognition of his scholarly and pastoral work, Dr Lingas received the highest musical award of the Greek Orthodox Archdiocese of America in 2010. Dr Lingas through Cappella Romana has helped members of ethnic communities (for example Greeks and Russians) and converts to Orthodoxy wishing to preserve and transmit their musical heritage. At the same time CR has promoted widely experiences and understanding of Orthodox musical traditions amongst people from other cultural and spiritual backgrounds. These have included individuals drawn to the history, aesthetics and spiritual qualities of Eastern Orthodox art and liturgy, as well as devotees of classical and world genres of vocal ensemble music. Anglican-Orthodox] Fellowship of St Alban and St Sergius. Its first milestone was the release of the 2008 Divine Liturgy, a two-disc recording.